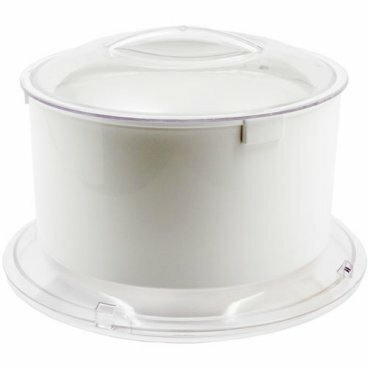 This L'EQUIP Universal Plus Flour Sifter is designed to fit on top the new universal plus bowl with 4 tabs for the Bosch Universal Plus Kitchen Machine. The L'EQUIP Universal Plus Flour Sifter is perfect for sifting whole grain flour for cakes, tarts, and other pastries. Until now it was nearly impossible to have ultra-fine whole grain flour. L'EQUIP's new Universal Plus Flour Sifter changes all that. The Flour Sifter is designed with 4 tabs to fit the Universal Plus bowl with 4 tabs, but will also fit any of the Bosch Universal Kitchen Machines and the Nutrimill Artiste Mixer. The L-EQUIP Universal Plus Flour Sifter easily sifts the flour right into the mixing bowl. 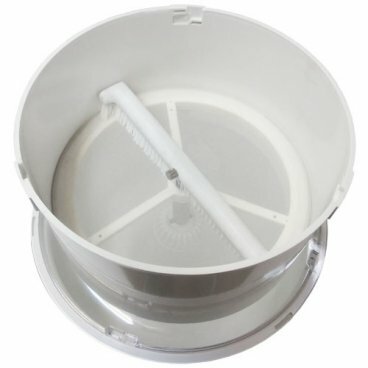 Order this flour sifter to fit the Bosch Universal Plus Bowl with 4 connecting tabs.